Since 2001 we've helped sports facilities nationwide design and install the sports equipment they need. 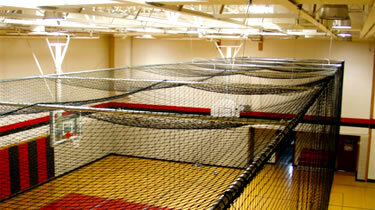 Batting cages, gym equipment, turf, training equipment and more. We even offer an exclusive Training Facility Loyalty Program to help commercial facilities grow. 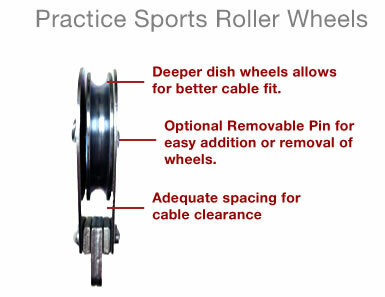 Call us today at 1-800-877-6787 or email info@practicesports.com to see how we can help. 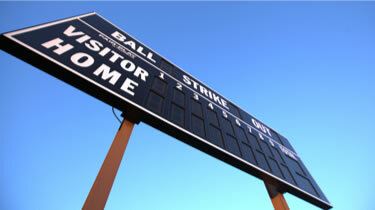 Open your facility sooner with Practice Sports Installation services. Our mobile workshop and lodging allows our crew to fabricate on site and work 16 hour shifts to give our customers the most efficient service in the industry. 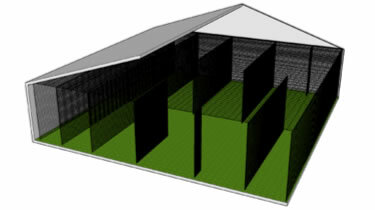 Express the vision of your facility to investors or customers with 3D images and animation. Schedule our expert staff to walkthrough your facility. Our crews travel nationwide to help provide you with efficient service. From collapsible batting cages like our CurtainCage, and ShellCage, to electric retractable cages like our industry leading AirCage we can install a variety of Indoor Batting Cages around virtually any obstacle. Our Custom Wall Padding can cover any surface; from walls and columns, to beams beams and ceilings. 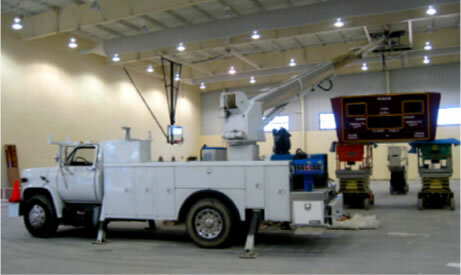 We specialize in suspended gym equipment, such as Basketball Hoops, scoreboards and more. 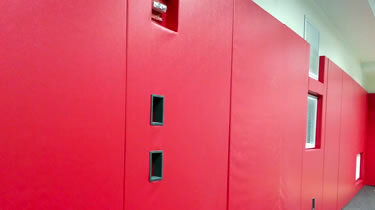 Need a motorized Gym Curtain that folds up to the ceiling, or walk along curtains that collapse against the wall? We can do that. 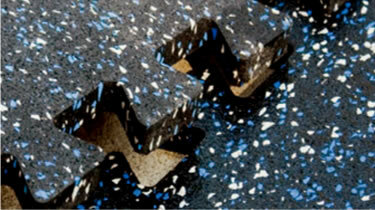 From rubber to foam tiles to plastic tiles, our modular floors are a perfect fit for multi-sport facilities. 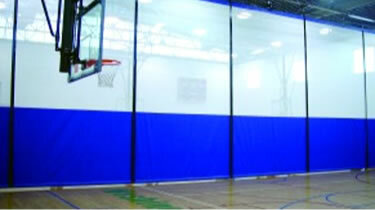 We specialize in Outdoor Batting Cages with options such as sliding curtains and canopy covers. 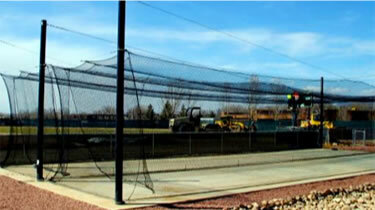 Properly installed Backstop Netting is essential for protecting your spectators. 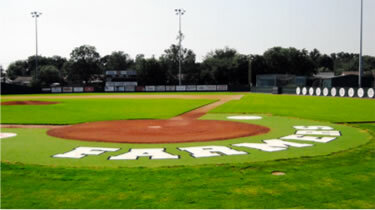 Indoor or outdoor turf such as Home Plate Halos, Golf Putting Greens, and Landscape areas. Field equipment from Windscreens, to Foul Poles and Field Goal Posts. Practice Sports offers services for your facility every step of the way, from design to routine maintenance. Don't just take our word for it. Compare Practice Sports Installations with budget installations from Other Discount companies. • Slotted Strut is not strong enough for professional applications. 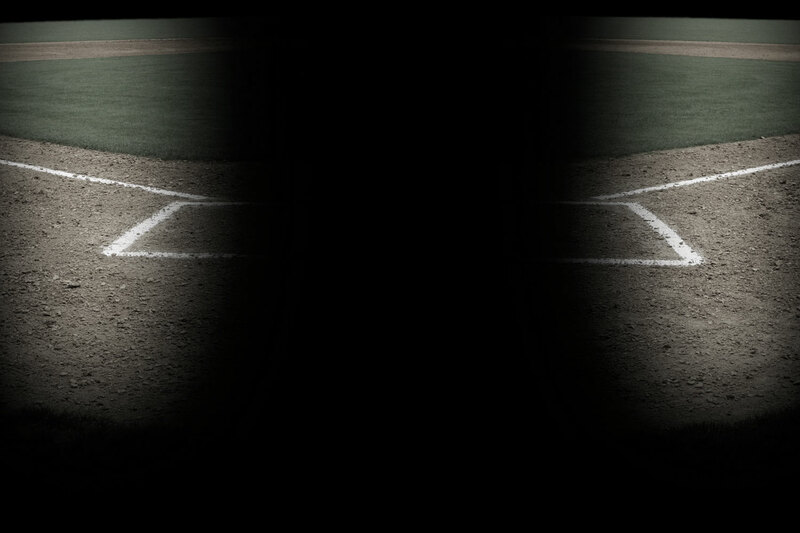 • Weak headers cause lines with slack, creating netting sag and difficult mobility. • Pro-grade headers allow maximum tension on lines. • Rigid cables create clean and professional netting. 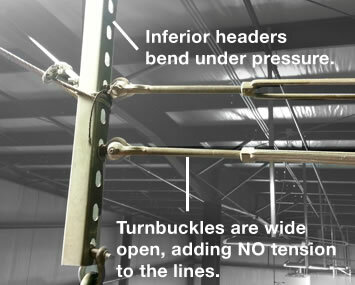 • Welded Anchor Tabs allow turnbuckles to do their jobs. Other Discount Companies use inferior hardware to cut costs. • Inadequate for commercial applications. 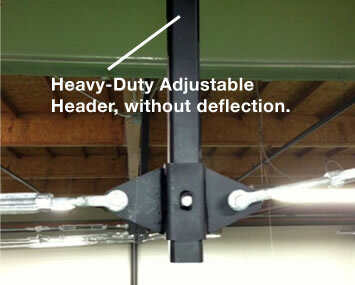 • Made from Nylon, much less durable than Steel, creating more maintenance for your facility. • Inferior fiber not qualified for commercial level use. 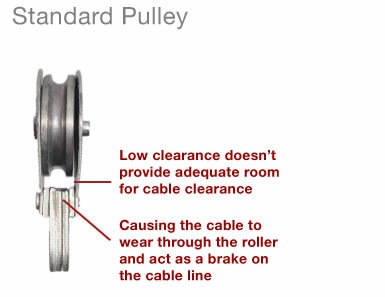 Cheap pulleys cause BIG issues for a net , and we fix it. We can diagnose your problem and provide solutions. We ask questions because the details make a difference. We want you to ask questions, too. Together, we'll get the job done right. The first time. Don't settle for a budget installation from those Other Discount companies. Your facility deserves a professional touch so your customers can give you the "Wow" response you're looking for. 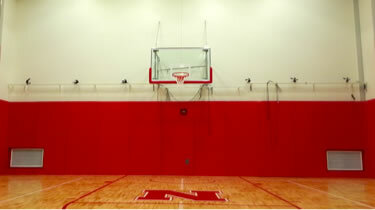 "We have been extremely impressed with our overall experience with Practice Sports. The netting has proven to be durable, the customer service outstanding, and the overall usability of the cages has been top-notch. We have been very happy with how our new indoor facility has turned out, and a big part of that is because of Practice Sports and their dedication to a quality product."